Polaris solar PV net news: 117, the top team in the world or China will mark the owner of AC Milan, one of the mysterious millionaire from the photovoltaic industry. 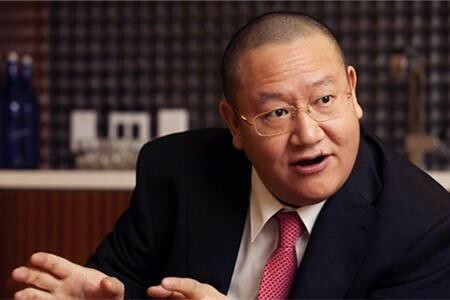 On July 27, the first financial daily quoted authorities as saying, capital international joint Managing Director of GSR Zheng JianMing Wu Shenjun, may be through the “GO Scale Capital” Fund, purchase of 80% stake in AC Milan, contributions of about 750 million euros (about 5.5 billion yuan). Bloomberg news on July 20 came out the same information, citing a source close to AC Milan deal. Interested in buying AC Milan’s rumours of Chinese capital, since last year, there are many versions. 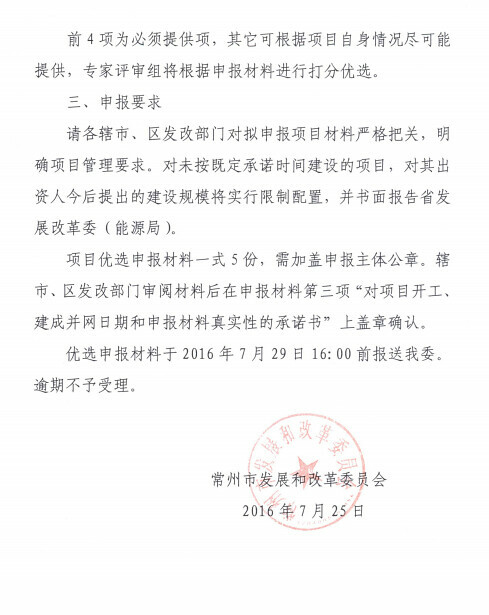 Previously rumored, Wanda group, Alibaba, hengda group, Baidu, the maotai group buyers list, but have been denied. The rumors will hammer is not known, the current AC Milan official website has not published information. It is worth mentioning that, has always been known as a low-key, mysterious millionaire Zheng JianMing and GSR is not the first time together. Zheng JianMing over its new energy enterprises (such as Boston, Crystal power, battery and other companies) have a venture capital investment figures of the jinsha River. The funds used to buy AC Milan “GO Scale Capital” held jointly by Zheng JianMing and GSR. GSR Wu Shenjun, one of the founders is focused on new materials and new investments in the energy sector, and the “solar giant” Zheng JianMing intersection. Howe threw the daughter of Zheng JianMing intends to AC Milan has been more low-key. In 2015, the Forbes China rich list in the new energy industry, Zheng JianMing to 1.5 billion dollars worth, ranks 172th. Little is known, before stepping into the business, he served as international technical and Economic Research Institute of the development research center of the State Council researcher, Deputy Director of the Hainan special economic zone times. Zheng JianMing, I may not be familiar with the international soccer events, but his investment style is that long-term research policy trends and grasp the precise timing speed after shots. Capital into overseas Chinese football clubs have become nearly two decades of investment, Zheng JianMing to acquire AC Milan are not without a header wide renown. According to incomplete statistics, since 2014, China’s capital has at least 11 overseas investing in soccer clubs, of which 9 are obtained a controlling interest, dispose of two acquisition did not disclose the amount, about 6.67 billion yuan of investment in China’s capital today. Top level also showed a trend of positive of the football industry. 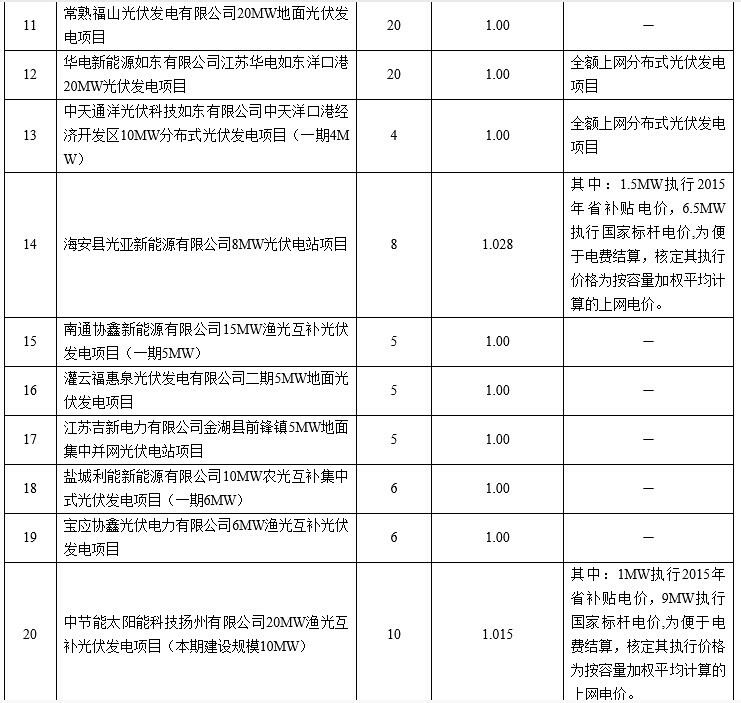 March 2015, the State Council issued master programme for the reform and development of Chinese soccer. The programme refer to: encourage social forces to develop football. Boot the strength of well-known enterprises and individual investment professional football clubs, sponsorship of football matches and public projects, supports the exemplary and leading role of football to play, expand the Club and football development funding channels. Zheng JianMing said in an interview, not easy to bet on an industry, will observe several years or even longer time, wait until the opportunity came to do the layout. Recalled Zheng JianMing’s road to success, as PV bosses, Zheng JianMing resigned from the sea to enter the real estate growth paths and layout of new energy. In 1993, when I first ran the real estate industry, Zheng JianMing chose Shanghai, developed the first commercial service apartment Shanghai, while investment in five-star hotels and high-end residential. In 2003, introduced stabilization measures the Hong Kong Government as property prices crash, Zheng JianMing aimed at office buildings, buy China Merchants Tower, Shun Tak Centre, Central, Hong Kong, 34/f, in one fell swoop netted hundreds of millions of Hong Kong dollars. Real estate for Zheng JianMing to bring lots of money at the same time, he saw the ceiling of real estate. “Housing the administrative examination and approval are too complex, and we have not been the same. “Zheng JianMing said. After his direction, inspection technology, advanced manufacturing, mining, and other industries. Prior to the 2008 subprime mortgage crisis, he has at hand all real estate sold and switched to the stock market. In 2010, Gome’s battle when in full swing, Zheng JianMing bought 250 million GOME shares in about a month, cumulative spree 350 million shares, more than 2% shares, higher than when he was 1.25% of the GOME Group Chairman, Chen Xiao, becoming indespensible shareholder of GOME. In the stock market and ease Zheng JianMing ultimately in favor of the new energy. Zheng JianMing business acumen tells him is that traditional energy consumption, maintained a slow upward momentum but clean energy is an incremental, until after a certain period, it will be as an alternative to traditional energy sources. PV as he headed off to the new energy industry. The first “appearance” PV is at the end of 2012. At that time, the photovoltaic industry is met winter, Zheng JianMing dips into. Through its wholly-owned company Faithsmart Limited, Zheng JianMing HK $ 199 million, buying Hong Kong stocks shunfeng photovoltaic enterprises International Limited, 462 million shares, 29.65% stakes sit the largest shareholder, who actually controlled the shunfeng photovoltaic. Object of the expedition was also selected for the first time. Main shunfeng photovoltaic cell products (full name Jiangsu shunfeng photovoltaic technology company) holds the advantage in cell conversion efficiency, has been elected in 2009 and 2010 “most potential Chinese SMEs”. Another is being talked about, in 2013, is the global leader of Suntech PV modules manufacturing industry has run was Zheng JianMing to offer 3 billion yuan in the Pocket. Suntech has a glorious history, landing is the first United States capital market of Chinese enterprises, Shi zhengrong, the founder has been pushing China’s richest man, on the throne. Zheng JianMing’s ambition is to create a complete photovoltaic industrial chain, integrating in his private enterprise–Hong Kong Asia-Pacific resource development investment company (APRD) this platform. Asia Pacific resource development investment Corporation was established in 2009, at present, have invested more than more than 10 company, covering on the middle and lower reaches of the photovoltaic industry. Downwind international clean energy limited as times a level platform, 2015 total electricity for 1016312 MW Shi, integration has 8 home clean energy technology service of company, except Wuxi Suntech outside, also including solar power station shipped dimension company Meteo Control, and LED Enterprise Crystal can photoelectric, and seawater power Enterprise Nano carbon tube (TCNT), and Germany inverse variable device producers Sunways, and solar power station operators SAG, and storage can company Powin Energy, and Constant power, hydrogen energy company. But Zheng JianMing road of mergers and acquisitions is not invincible. In March 2015, and the rumored acquisitions similar to the combination of AC Milan, Zheng JianMing and GSR co-operation, from “GO Scale Capital” Fund to take the lead, acquisition of Netherlands Royal Philips LED lighting manufacturer Lumileds80.1% shares of the company, deals worth about $ 3.3 billion. But in January of this year, United States Committee on foreign investment for national security concerns, ending a takeover. In addition, it is worth mentioning that, according to the clean energy wind 2015 according to the annual report, solar products is highly competitive and effects of many domestic provinces and cities to abandon power, its turnover for 2015 is an increase of 22.4%, but the net profit of 58 million Yuan, was 95.6% lower than in 2014 to 1.304 billion yuan. Benefit in the photovoltaic industry is not optimistic about the case, Zheng JianMing’s next stop will be a football? Wait to see. Original title: AC Milan who is the mysterious Chinese businessman Zheng JianMing takeover battle? Polaris solar PV net news: recently, successful bookkeeping issued 15 billion yuan of Shanghai Pudong Development Bank green bonds, since this is the year to issue financial bonds to the third green. So far, Shanghai Pudong Development Bank have successfully completed the regulatory approval of distribution of the amount of 50 billion yuan, debt continues to lead the race. Prior to that, as the first green finance domestic bonds issuers, Shanghai Pudong Development Bank on January 27, March 29 this year, have successfully issued financial bonds to second before Green, size were 20 billion yuan, 15 billion yuan. It is reported that this issue 15 billion yuan of three green bonds, bond for a period of five years, coupon for 3.4%, 2.27 times times subscribed, get good market response. Is of concern, with the Green financial characteristic transformation of commercial banks is becoming an important direction, green or the bond market in the second half of this year will usher in a growth spurt. It is understood that the first to second Green of Pu FA bank financial bonds to raise funds to the account since the delivery in good condition. By the end of June, raising money has been invested in the green industry projects, put on the amount accounted for more than 70%, support for green industry projects were well reflected. Launch project types, Shanghai Pudong Development Bank green bonds funds cover the list of green bonds support projects in the six categories, including energy conservation, pollution prevention, resource conservation and recycling major livelihood in areas such as project, with major environmental protection projects account for a large proportion of social influence, better energy-saving emission reduction results are obtained. The project class includes: traditional utilities, wind power and other clean energy projects, cogeneration, energy-saving projects such as green building, pollution prevention projects such as waste incineration, sewage treatment, exhaust gas purifying and recovering waste residue, coke oven gas, LNG, resource recycling, new energy vehicles and other green transport and mass transit projects. In addition, the Shanghai Pudong Development Bank green bond project has also actively supported a number of transportation Internet applications, ecological restoration and other advanced technologies, green technologies, solid and effective in promoting transformation and upgrading of the economic structure and the transformation of economic growth pattern. And regional launch, the first two green bonds is focused on investment in Beijing-Tianjin-Hebei, four in the Yangtze River Delta, the Bohai Sea, the Pearl River Delta economic circle. Industry analysts say, because spdb qualification excellent, investor groups in the interbank market with strong appeal release end of the bond interest rate is usually lower. On this basis, because green financial bonds to raise funds earmarked, lower financing costs will undoubtedly help spdb at assets put on the side of the rates have to fall, thereby reducing the project’s financing cost of green industry, strong support for green business development. Statistical data show that Shanghai Pudong Development Bank green bonds 310 companies stocking to raise funds to benefit the country. Among them, Shanghai Pudong Development Bank green bonds funding the songyuan city of underground comprehensive pipe Gallery financing leasing factoring project of 2 billion yuan and Baoshan city, central city underground comprehensive pipe Gallery 1.1 billion yuan of construction projects, and so on. Underground pipe Gallery is in urban underground for centralized power, communication, broadcasting, water supply, drainage, heating, gas pipelines, such as the common tunnel. August 2015, the State Council specially issued guidance on promoting the construction of urban underground pipe Gallery. “Green by 50 billion yuan of financial bonds issued, further strengthen spdb services economy and the ability to support the green industry. “Pudong Development Bank said, will take this as an opportunity to continue to drive the green credit business, green finance business to a new level, and take concrete actions to boost enterprise strategic transformation and development of green and low-carbon growth, promote economic restructuring and upgrading of the industrial structure. According to revealed, future, Pu sent Bank will continues to promoted raised funds of put, while do Green debt of acquired period management, ensure related information public transparent, through market constraints and test mechanism better to reflected green financial bonds issued of effectiveness, take built more perfect of bonds issued-funds put-follow-up management of full process management mechanism, for territory green bonds market of development made contribution. An increasing number of facts show that green finance characteristic transformation of commercial banks is becoming an important direction of exploration of green financial market opening will be further accelerated. First half of this year, China leads in green bonds, reached 54.9 billion yuan, accounting for 29.3% of the world’s, far ahead of other economies–the Industrial Bank of data from the latest release of the annual Green finance. Statistics showed that by the end of June, domestic market green bonds totaled 56.9 billion yuan, with companies outside the Green debt balance of $ 1.7 billion, total debt balance global green 8.6%. Noteworthy is that after seven regional carbon market for domestic, national carbon market is expected to be launched in 2017, will catch up with EU-ETS as the world’s largest carbon market. It is reported that the preparations are intensifying their push. In fact, at the national level, “green” as one of the five development concept was included for the first time the “Thirteen-Five” program, which means that green development a series of top-level policy and system design and operation will be in “Thirteen-Five” during the rapid advance. As planned, the financial sector “Thirteen-Five” programme (hereinafter referred to as the plan) will be launched in October this year, green finance for development will be important. Analysis of the industry, the plan will be from the perspective of overall construction of the financial system “Thirteen-Five” green finance during development. Earlier this year, Central Bank Deputy Governor Chen Yulou once in “green Finance Forum in China”, said green finance for the first batch of pilot areas will be launched in 2016, including Zhejiang, Guangdong, Xinjiang, Guizhou and other provinces and autonomous regions. Pilot content included green innovation of the financial management system, preferential policies, such as matching. Among them, green credit loan of credit, refinancing, green bonds, loans, tax credits and local Green Development Fund, policy attention. However, some experts pointed out that, compared to the Green financial target of 300 billion yuan, currently there is a greater distance scale. It also suggests that green the bond market in the second half will also usher in a growth spurt. Societe Generale Chief Economist, Lu zhengwei analysis shows that, beginning in the second half, China’s Green debt market has shown strong growth momentum in July, domestic market green bond issuance reached 43 billion yuan, Chinese entities issued overseas by $ 3 billion, two total over the first half of the cumulative level of issuance speed accelerated. Polaris solar PV net news: recently, the Solar Power World published a “2016 solar contractors in North America’s top 500 list”. List detailing the number of hire companies, major markets (public utility, commercial, residential, or off-grid), as well as its main service (EPC, developers, roofing contractor, construction company or electrical subcontractor). Ranking depends on 2015 amount of photovoltaic installation in North America, if the data is the same, based on the cumulative installed capacity. Were the top three is Mortenson Construction (construction of Mo Tansen), First Solar (first solar), SolarCity (Sun City), 2015 installed capacity respectively, 1653.46MW, 1455.40MW, 870MW. Polaris solar PV net news: according to the National Energy Board issued on 2016 issued the notice on PV implementation programmes (new 166), national arrangements in our province the 2016 General construction scale PV power station 300,000-kilowatt (not including the rooftop PV and PV poverty). According to priority has starts project, and priority early work perfect and near two months within starts of project, and priority resources relative rich set area of project, and priority has performance and enthusiasm high of enterprise of project, and priority combined agricultural or fisheries development of project, filter principles, intends will yiyang Chase Lake East PV power limited 200MWp fishing light complementary project a period engineering, 12 a PV power project, and installed 300,000-kilowatt (specific project see schedule) into 2016 Hunan province PV power construction implementation programme. Listed in this publication project has been started to improve in early work, to start construction as soon as possible, and completed and put into operation as soon as possible, before the end of October, we have not made substantial construction projects would be adjusted in due course, reducing the scale of transfers will be used for other not included in the present programme has started or the preliminary work to improve the project. To further strengthen the supervision and management of PV power generation projects to ensure smooth implementation of the project, is to be incorporated into the annual implementation of the programme of publicity items (specific projects, see annex). Publication time is July 28, 2016-August 1. In the meantime, welcome to the community for public projects in the truth and there is no violation of relevant national laws and regulations and policy provisions, such as by fax or e-mail to the Hunan Province development and Reform Committee to provide feedback. Comments must affix its official seal and indicate the unit contact information, personal opinion must indicate the name, ID number and contact telephone number. According to national development reform Board, and national energy Council on perfect PV power scale management and implemented competition way configuration Project Guide views (sent modified energy (2016) 1163th,), and national energy Council on issued 2016 years PV power construction implementation programme of notification (country can new can (2016) 166th,) and Sichuan province Energy Council on 2016 PV construction scale index configuration implementation programme (chuan energy (2016) 4th,), and Annual scale index optimization configuration of the photovoltaic project in Sichuan province (trial) (energy (2016), 6th) and other relevant provisions, Sichuan provincial energy agency photovoltaic, power grids and other relevant experts, of each city State reported application configuration optimization assessment 2016 PV scale target projects. National Energy Board supervision of Sichuan discipline inspection departments, provincial development and Reform Commission who monitored. 2016 State PV 400,000-kilowatt new construction in our province. 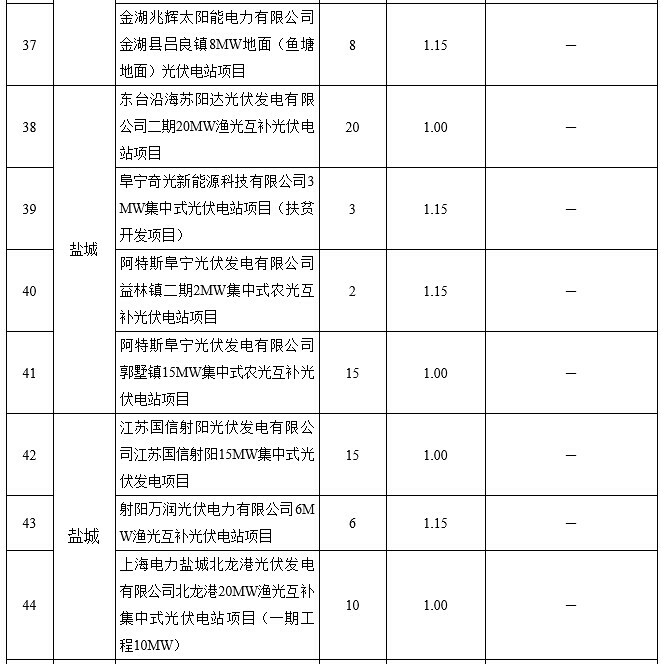 According to the Sichuan development energy (2015), the provisions of No. 211, giving priority to 2015 for the record’s carry-over projects 110,000-kilowatt, remaining for optimization of distributed PV configuration according to arrangement, to arrange the principle of concentrating photovoltaic power stations for distribution. 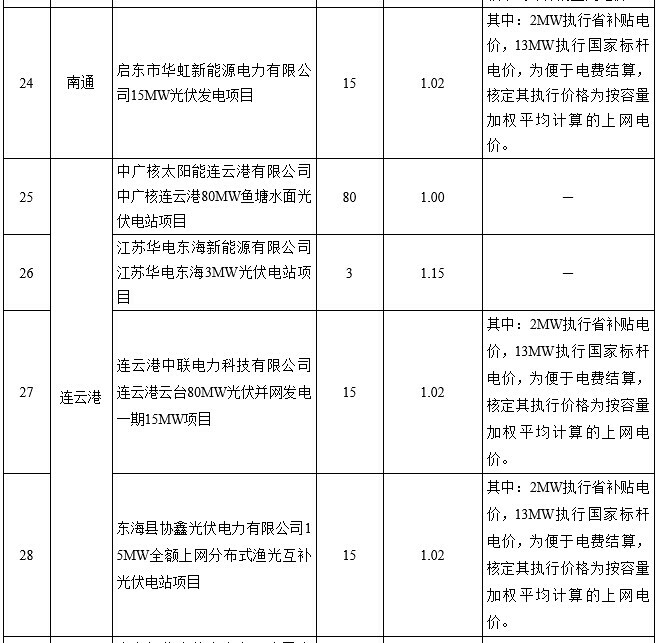 2016 years, Sichuan province will now scale photovoltaic index optimization configuration items list to be public (see annex). Announcement from July 29, 2016 to August 9 (7 working days). During the publicity, if there is objection, may reflect real name to the energy Bureau of Sichuan province. Polaris solar PV net news: solar power quote while 2-3 months of consecutive downturn, but the recent declines aggravated, for now, not only the industry’s original estimate of “boom in August is expected to return to temperature” will bounce, even September is not good, the extent to which business frozen beyond expectations. In addition, the 27th Taipei water park “solar fire” incident, the recent “price-supporting” solar group chips begin to appear loose, should be on the alert for future development. According to the State Science and technology research agency regulating sets its green energy business unit EnergyTrend pointed out that July price tumbled on both sides of the solar cell 9%, 7% drop in silicon wafers to the upper joint impact, many modules are factory stock is more than 2 months, not only the industry’s assessment of August back to temperature not reached, even by September are difficult to see. This situation can also be from a solar cell back sheet Rainbow is evident. Rainbow yesterday investor, for the solar boom frozen at the present stage, it assesses the amount of solar back-panel shipments in the third quarter, compared with the second quarter slumped by 53.19%, even less a month than April. EnergyTrend research assistant manager Lin Yan Rong said at module, our inventory has been more than 2 months, plus vendors in third place, the terms of new capacity, will be coming on stream, supply and demand will be more stringent. Lin Yanrong said monocrystalline solar cells offers continuing Cliff dive this week, price has fallen below $ 0.265 per watt, this influence, even the third General of the prices have been good batteries and efficient PERC battery prices have decreased significantly. As for the decrease of silicon wafers with a similar battery, weekly at 2%. Solar power quotes this week continued to dive, so yesterday (28) appears first loose chips in the near future, although declines have mostly between 1.5-3% and it’s not too serious, but investors have to be careful about a “boiled frog” effect. Polaris solar PV net news: 2012 China Solar double of second review of countervailing duty found out eventually, parts manufacturers from the early 19.62% sentenced 19.2%, major Chinese manufacturers combined tax rates falls on 23.95%~33.13%, though still slightly the differential between the manufacturers, however, does not affect the United States layout policy. TrendForce EnergyTrend research in its green energy Deputy Manager Lin Yan Rong said Sino-US solar-powered double since 2012 the noise now, influence has been weakened by manufacturers overseas distribution, future concern only SolarWorld and Hemlock’s impact on Sino-US trade war between the two powers. Regardless of whether the SolarWorld will cause the subsequent double variables, current Trina, Crystal, Crystal Australia, hanwha, and Viet Nam PV is not limited by the rate of significant new capacity has been seriously affected United States market prices, EnergyTrend estimated United States industry module will average dropped significantly from US$0.6~0.62/W in the year end of US$0.48~0.52/W, 15% per cent within a year. Property of third price in the third after maturing, prices have fallen to about US$0.32/W, parity with the batteries on both sides at the end of this year. Lin Yanrong pointed out that capacity throughout the competition back to basic supply and demand, and in each subsequent year of review and double against huge uncertainty may cancel have been in previous years, manufacturers how to stand out in a massive new production capacity is the issue of most concern. If both the cells, modules of a trade war is not affected by other factors, it is generally accepted that sentenced in early 2014 after the next Chinese new year anti-China Taiwan area further downward adjustments in tax rates, the lowest tax rate for Motech or Xu Hong. Lin Yanrong said that if next year, Xu Wang become Taiwan manufacturers of the lowest tax rates, its high-end PERC product will be able to direct United States and to open more markets. As a result, if overall Chinese Taiwan area average decline, can benefit from the manufacturers, but the third zero-rated capacity will be totally smooth mass production next year, Chinese Taiwan area with conventional batteries the premium will be limited. Fluctuation of rates of the judgment will determine China’s Taiwan region or third grab of the PERC capacity. If 2012 against the setting sun at the end of a review next year when China and the two-handed backhand, United States market will no longer be the third real estate and China’s first vertically integrated firms dominate, is initial cost remains slightly higher than China and Taiwan’s domestic real estate III, will face serious challenges. By then, overseas capacity and to tax rate cuts early next year, China Taiwan manufacturers will only be earned before tax abolition a gap year, transfer machines, building cost is difficult to recycle, will enable the original still plans to increase overseas production capacity of manufacturers looking discouraged. Between the double reverse immediately canceled, or open as a price limit polysilicon, module, trade between the two countries, is the first United States module Terminal market prices, there will be far greater than the drop for fear of encroaching upon the market price US$0.45/W next year. Meanwhile, slow down China’s polysilicon prices will plummet sharply. China resorted to multi double polycrystalline silicon pin blocked many Western companies in China, China manufacturers expanding polysilicon production for nearly two years, if China is open again overseas, were, of course, will be in 2017, is facing a huge oversupply of polysilicon in China market, accelerated polysilicon prices, it is expected that this probability is not high. 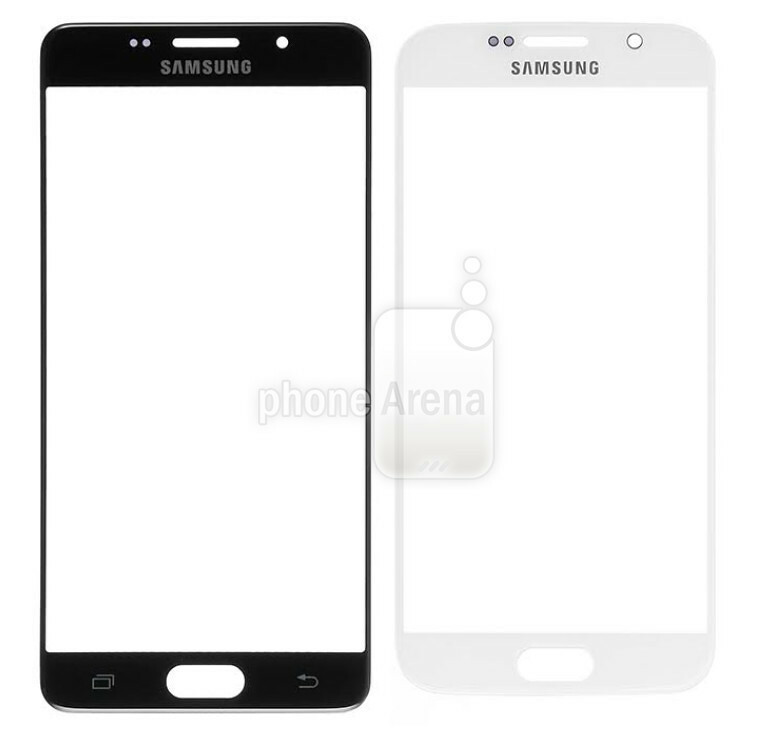 Today had has media reported had Samsung Galaxy S7 of front Board exposure, which displayed sensor was all mobile to has receiver of right, layout and previously of rumors has larger of difference, Home key also than previously more slender, but today outside media PhoneArena is brings has new of Galaxy S7 front Board burst material, and and Samsung Galaxy S6 and Galaxy Note 5 of front Board for has compared. 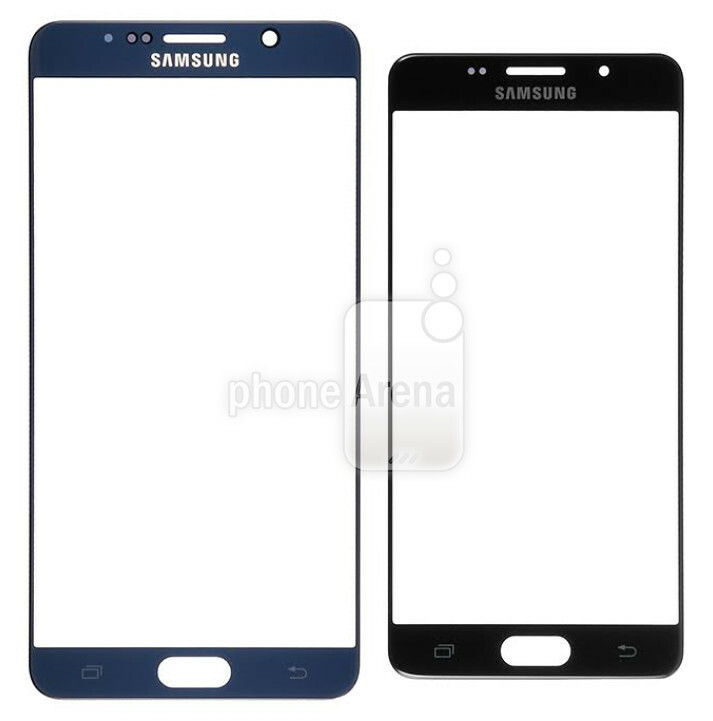 In contrast with the Galaxy Note 5, which turned out to have a very high degree of similarity, regardless of the curvature of the corners or the receiver near the sensor hole locations are very close, almost Note 5 of the smaller version, more tough than S6 model. 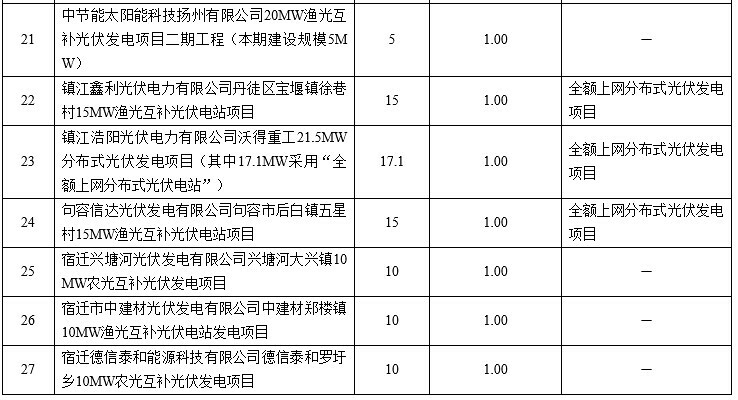 Polaris solar PV net news: July 25, Jiangsu provincial price Bureau released the sixth issue of 27 projects for grid-connected photovoltaic electricity price, cumulative reported five batches, Jiangsu provincial price Bureau has so far identified 116 projects for grid-connected PV on-grid prices. Polaris solar PV net news: some recent experiences, often makes the author into fear. For example, to participate in the Organization of an energy industry expert, the project undertaker is professional research organization in the field of energy. But in their report, the local photovoltaic no features, no technology, no innovation, no leading enterprises, not the local market, struggling. This and the author in the daily work of the Association in the industry familiar with the local actual situation is completely different. Again, experts participating in the recommended PV demonstration project review, hear some projects such as “roof PV power station difference, is not about”, “characteristics of our projects is maintenance-free, installed never go after” unprofessional argument. Perhaps, the previous example in the field of energy photovoltaic experts know, more data collection from network, plus some of their own rational inference. But this is also where the author worries, in PV manufacturing has been out of the high pollution, homogeneity, low innovation stage, who does so in understanding solar energy experts, the public awareness of the PV was perhaps more difficult objective. Understanding of PV photovoltaic application units come from practices, but in photovoltaic applications have entered the technical differences, patterns of diversity, building operation and maintenance safety and standardization of new era, operation and management of large data, as a professional power plant investment unit with understanding PV applications, they don’t expect the general public to tell what road. Now, as distributed in photovoltaic applications in towns and large scale, focus, and more and more people into the photovoltaic industry. However, PV project developers facing what development environment? Business leaders have told me that their local government leaders not to accept PV industry not only think this industry is both pollution and poor quality over the years, no other explanation and resolution. There are business leaders told me that its seat of enterprise, more and more people are beginning to make a roof photovoltaic projects, but a lot of people on the product quality control and system optimization design almost nothing. For example, some project most of the panels were shadows; some projects on the roof a large bracket and does not take into account the wind load. As more and more people to join the PV applications when this irregular, unprofessional is increasingly common, serious work enterprises will inevitably feel anxious and powerless to market development. Perhaps, PV people’s time to jump out of the circle of the industry recognize PV, promotion of PV. At present, renewable energy industry association, Hangzhou City have industry association of popular science as a key work, plans, games and series of events throughout, from the community to the school, from rural to industrial parks, from the science and technology museum to a newspaper column, expand the full range of industry knowledge, science. This is not an education, but a service. Photovoltaic industry is at a very special time. On one hand, more public focus on PV, more and more people are beginning to know some more or less solar concepts. For example, green energy, alternative to coal, State subsidies, and so on. But on the other hand, very few people have a clear and complete understanding of PV and its application, and even more misunderstood. For example, is expensive and unreliable power quality, and so on. Each awareness training for industrial park owner, I must say a Word is: industry self-regulation and examining the most effective form, is the customer understanding of the PV applications in place. If customers do not understand anything, just think cheap is good, the Association’s effectiveness is impossible to industry self-regulation work. Perhaps, photovoltaic applications have spread after three or five years, science is no longer important. But at this time, I think, science to bear on a special mission, not to justify to the industry, nor speak for PV sense of social existence, but is committed to building a sound development of the industry and market environment. Who we want them to change the understanding of the PV industry groups, as well as people with potential demand for photovoltaic applications, we should be sincere, serious science and lively, rigorous and popular propaganda and popular science. In May 2016, organised by the Association “renewable energy development and utilization of popular science exhibition, Hangzhou City” campaign entered the Hangzhou Crystal community, through experience, jigsaw puzzle games, award-winning, interactive forms, so that the general public find pleasure in the experience and improve public awareness of PV and other renewable energy applications. Such propaganda and popularization need people inside and outside the industry. For example, to make of people inside and outside the industry will understand that rooftop PV Application projects is not contravariant components, and electrical equipment all together can; rooftop PV projects when maintenance, not as long as the solar panels without control can bask in the Sun. Power grid’s friends told the author that they frequently receives “lightning man” PV Tel. For example, some people through in his roof DIY shop equipment a photovoltaic power station, does not at all it’s a high-pressure job; for example, the incorporation of some factory equipment in hot temperatures, since there is no maintenance, even the inverter is bad and no one knew. Of course, a different perspective, because the future of solar thermal, photovoltaic, so that’s what this type of phenomenon, and this does not mean that photovoltaic and photovoltaic market is all about. After all, the industry seriously on a distributed project promotion enterprise of many in society seriously think people there are plenty of PV Application projects. Between them, mutual needs, this also makes it possible to build a sustainable business environment. Though, to form a market mechanism, making reliable projects can always give honest businesses to do. Psychological research shows that spread the good of others is an act of sale, and sales process, communicators do not need too much psychological cost. But on the contrary, spreading the good of others and personal referral sales behavior, because their credibility as collateral, then Communicator will bring major psychological cost. Therefore, need a professional third party platform, to make serious and reliable customer needs and meet serious and reliable project developers here, project resources who not only more secure, project investment and construction companies are also more at ease. So, who is the steadfast work of distributed PV industry does? We advocated by the outside world, would in reality, and their performance in line with what? At a Conference on rural work system, the author has discussed with the new head of the Energy Department photovoltaic applications. When I say PV products can be used for 25 years, and during this period the above 80% of power generation capacity, opposite someone started shaking question: how is this possible? We have done many PV applications, solar panel problem with up to five years. I believe that saying to each other must be the fact that they have ever experienced. Knowing full well it incompatible with the PV industry consensus at this time is far, but it could not be evidence at the scene, can only sigh at too large a gap between image and reality. Need to pay attention to is, the other party does not refer to a quality no manufacturers of photovoltaic products, but there is that PV only five years of life. PV is such an image in the eyes of some, are we surprised the industry? Psychology there is a term called “generalization”, refers to the one thing people tend to understand, quickly into awareness of the sort of thing up. To remove the extension, it is necessary to clearly tell each other, the doorway where, where is the difference. On specific PV publicity, is to let people know that not all businesses are the same, not all projects are the same. While reliable professional enterprise, product, project, distinguishable from the industry, in order to prevent market “bad money drives out good money”. For the professional judgment of whether to rely, is not to see who pay high taxes to the Government, is not to see who pay dues to the Association, not to see who influential people behind. But by analyzing large data through expert advice, by objective, impartial third-party data or expert consensus is most persuasive. So, to make industry more solid social acceptance. Polaris solar PV net news: Gold Coast, located 300 kilometres northwest of Los Angeles, California at the Diablo Canyon nuclear power plant is the only nuclear power plant in California, is also the largest single power plant, provides California 8.6% of electricity. But in June this year, the State’s largest power company Pacific gas and electric (Pacific Gasand Electric Company,PG&E) announced that the plant would shut down in 2025. Past, the closure of a large power plant is usually associated with the construction of a new power plant. But as technology advances, and changes in the economic situation, as well as the State of California requirements for renewable energy, the situation has changed. By improving energy efficiency and developing renewable energy to replace large, centralized conventional power plants is a booming trend, close the Diablo Canyon nuclear power plant was a microcosm of this trend. In California and elsewhere, demand side/distributed energy resources is rapidly becoming an important part of power system planning, and creating exciting new business opportunities. More than 10 years ago, the United States power companies around renewable energy and user-side resources that were skeptical, and some even adopting a hostile attitude. Now they are gradually recognizing that wind and solar power, energy efficiency, demand response, solar and energy storage cell value. PG&E TonyEarly, Chief Executive, predicted: “centralized power plants of California electricity rate will continue to drop. “It is true that distributed generation facilities already occupy an important position in the power system in California, and similar cases will occur in other parts of the world. Case in California shows a transition from the old energy system for cleaner, more cost-effective path to the new energy system. In California, in order to speed up the transition, regulators issued a strong policy in transition from electric power companies, regulators and competitive market in close cooperation with the power companies, new technologies and new business models to market. And it is in the process of reform in China, and similar changes in the. The shift to cleaner distributed generation will have a huge impact on climate, and which opportunities are even greater. Rocky Mountain Institute (Rocky Mountain Institute,RMI) found that the opportunity first of all from the economic benefits in the future. A long time, when meeting new demand for electricity, energy efficiency is the overriding consideration in getting price advantage. In terms of peak demand for electricity, and demand response as an alternative to building centralized power generation resources, strong and also have a similar advantage. Cost of wind power and solar power technology continues rapidly declining only by conventional methods the new power plant gas power (because the United States gas-rich, inexpensive) cost can be compared with them. In addition, the power company began to find storage batteries can provide real value for the grid. Although the technology of energy storage batteries are still expensive, but costs are rapidly declining. These resources (energy efficiency, demand response, energy storage, renewable energy) is not a new discovery, but power companies have just started using them. Many resources, especially energy efficiency and economic advantage, has not been widely used. Therefore, the California policy makers to set clear direction to promote the State’s low-carbon development. There are two options: first, the mandatory measures to improve energy efficiency and renewable energy purchases, second, integrated resource planning process. California requires power companies in achieving 50% electricity come from renewable sources by 2030, and will improve energy efficiency by 1 time. While enforcement measures are effective, but policymakers must support mechanisms to assist power companies to accomplish these goals. For example, requiring power companies to improve energy efficiency could affect its revenue (generally, power companies are selling more and more profitable). This causes the power company may only complete the mandatory energy efficiency standards, and does not help the user to minimize energy consumption. But in California, regulators and company sales revenue decoupling, power companies are no longer worried about improving energy efficiency would reduce revenue. Regulators established a fair rate of return for power companies, the power companies obtain such income does not depend on the amount of electricity sales. A similar pilot project in Shenzhen, China, and is expected to be opened in the country. To further strengthen incentives, California by industry-specific mandatory measures in support of the overall energy efficiency targets. All new appliances sold in the State of California has implemented strict energy efficiency standards and stricter than national standards for building energy efficiency standard, manufacturer and apply the new standards to the building industry. After applying the new standards, with the improvement of electrical appliances and energy-efficient construction price, buyers can quickly recover the cost (generally 3 years). They already have economic benefits, missing only is the catalyst that can drive the market forward, and California played the role of wise policy. Similarly, China is also improving energy efficiency standards for buildings and appliances. This will bring enormous business opportunities, new, more efficient products to enter the market, challenging the traditional industry leader (as the LED lighting market in the world). In addition, green building has proven attractive to tenants, prices can be higher. On strengthening incentive and compulsory mechanism, California, using an integrated resource plan (Integrated Resource Planning,IRP) process, helping power companies to improve energy efficiency and develop renewable energy. Integrated resource planning, the power companies to study the future power needs of users, that determines which new resources are used to meet these needs. Power companies must prove that they have assessed all options (including energy efficiency, renewable energy and demand response), and chose the least costly resources. Investment wisdom of this process to ensure that the power companies, while ensuring that the user electricity prices remain low. Integrated resource planning focus on long-term development. In California, this process helps to the year 2025 PG&E the company shutting down Diablo Canyon nuclear power plant decision. Integrated resource planning PG&E show, due to energy efficiency improvements and a rooftop solar development, user demand will not grow further, so power companies do not need to add more capacity. In addition, California’s renewable energy mandatory requirements do not include nuclear power, this means that the Diablo Canyon nuclear power plant did not help the company complete the mandatory requirements in the State. PG&E integrated resource planning, proven energy efficiency, renewable energy, demand response and comprehensive utilization of energy storage technology to meet user demand for electricity, and continued to run the Diablo Canyon nuclear power plant compared to this method of comprehensive utilization of more economic benefits. It has enabled PG&E to the Diablo Canyon nuclear power plant decommissioning trust installed capacity 2.24 million-kilowatt. Finally, the state mandated and voluntary targets to assess company performance, determine necessary in order to attain the ultimate goal of the procurement. In addition, if you need any other resource integration of the investment net zero greenhouse gas emissions (such as energy), these resources should be purchasing. At this stage, type help PG&E to adjust the company’s development path. Another nuclear facility in California San Onofre nuclear power plant in 2013 with repair and maintenance costs of security risks on shut down, the practicability of the method has been demonstrated. When the San Onofre is closed, the power company found 1.4 million-1.8 million-kilowatt generation resources to replace the closed capacity. Power company does not require the developer to submit a development plan for a particular project (such as solar power or wind power project), but in the specific capacity has not been determined, and use the quote request (RFOs) mode, allowing all forms of technology (energy storage, energy efficiency, demand response, biomass, and so on) to compete, meet the needs of power companies. In order to ensure the quote request process conforms to standards emission requirements, total installed capacity of electric power company policy required, 150,000-kilowatt of electricity must come from the “priority resources”, that is, distributed resource net-zero emissions. Add “priority resources” requirement to help Southern California Edison Company (invented the model of electric power company) improve their productivity. It also ensures the proprietary quote request opportunities for emerging technologies, enable power companies to adopt these new methods to meet the needs of users. Quote requests to many new technology companies to enter the market, fill the gaps left off San Onofre. Most noteworthy is that as a Nest (manufacturing of programmable thermostats), Stem (operation battery for energy storage systems) and Opower (exploitation efficiency of user engagement platform) company has completed many similar projects across the country. Compared with the construction of new power generation projects, these companies will be able to lower costs and faster application because they are modular, more likely to be incorporated into the grid have been built. The new company (all established within the last 9 years) now has a very strong competitive edge, Opower valuation of $ 550 million, Stem received $ 27 million in a second round of financing investments, and the Nest is acquired by technology giant Google for $ 3.2 billion. Similarly, China is also planning its centralized, structured similar to the power sector restructuring. Beijing recently announced that it would stop approving new coal-fired power plants, a move that sent a clear signal to the outside world: the network planning process with the national low-carbon development and peak matches the target is critical. It takes time to full implementation of the integrated resource planning in China, and Chinese leaders also worry about low-carbon transformation possibly affect our economic development. This worry, quote request method is a very effective way, it is able to reduce the cost of technology to stimulate innovation in the private sector. Quote request or to promote new business development, to help them enter the competitive power market. These companies to quickly grow their businesses, create new jobs for the State, and local levels of GDP. In California, a clean technology revolution has brought huge economic benefits. In 2014, California has attracted half of the world’s clean technology venture investment (US $ 5.7 billion). It actively promotes the United States development of the most advanced energy industries, and provides 430,000 jobs continued to increase. Of course, this case is not just about economic growth, along with the Diablo Canyon nuclear power plant shut down, many people will lose their jobs. In order to solve this problem, the PG&E planned for Diablo Canyon nuclear power plant employees to provide retraining and re-employment services, and for the implementation of compensation mechanisms make up for the lost revenue. Polaris solar PV net news: nearly 1.3 billion yuan to raise funds all ought to be used as investment, but only 7 months after the Beijing Express – to raise money has changed my mind. Beijing Express decided on 23rd, intended to end its part of the public offering of shares to raise funds investment projects and will be permanently added savings of 512 million Yuan working capital of the company. 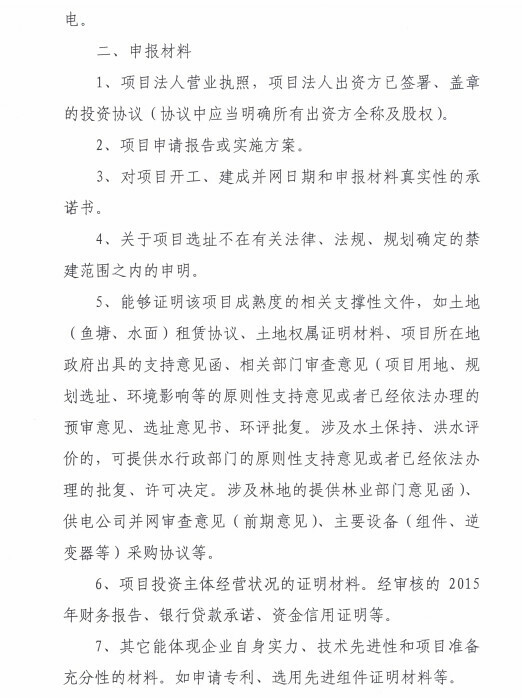 However, Shanghai Stock Exchange believe that Beijing Express’s disclosure of key information is not sufficient, risk disclosure in place, and on July 25, sent a letter asking Beijing Express to do further explained. On July 27, the Beijing Express reply Exchange denied that the termination of the project there is dispute or breach of law, and said that termination of planned investment projects does not have a significant impact on the expected rate of return. Beijing Express project is the roof of the termination of distributed PV power station, project site under the policy to encourage development of distributed PV industry quickly, raising 2.155 billion yuan Beijing Express November 2015, 1.275 billion yuan intended for the project. Press Conference on 26th and 27th morning repeatedly call the Beijing Express, but no one answered. Beijing Express page notice “understatement” to raise money into changing circumstances, but SSE said it’s not that simple. According to the original plan, to 9 in Beijing Express in late November 2015 2.155 billion yuan of the issue raised in the Zhejiang jiaxing 1.275 billion yuan will be used for distributed solar power projects. But on July 23, the company said, intends to end its part of the public offering of shares to raise funds investment projects and permanent supplementary savings of 512 million Yuan working capital, as a result, used to supplement working capital of the company amounts to 962 million Yuan, raising money 45%. The move immediately drew the attention of SSE. Beijing Express reported 25th SSE inquiry letter requirements explain the change to raise funds to specific causes, the need for changes to, and asked whether its when you start a non-public offering fully demonstrates the feasibility of offering investment projects. According to the Beijing Express introduced, the company intends to terminate is a part of the roof in jiaxing, Zhejiang Province of distributed solar power projects, December 2014 was approved for this project, by the Beijing Express in Haining, three sub-companies of Pinghu town, Tongxiang, in three regions of 50MW, is expected to finish construction of the end of 2016. At present, the project has been completed and 109MW, invested 763 million Yuan, remaining 41MW will no longer advance, unused balance is 512 million Yuan to raise funds. In reply to announcements on 27th, Beijing Express says, on the one hand the project relating to the construction and signing the client’s business, part of the economic downturn, demand for electricity substantially reduced, if construction of the project, most electricity sold to the grid rather than the customer, lower electricity prices a lot, while the other part of the business is about to collapse or for sale, project risk, and this reason relates to 6MW. The other hand, roofing resources is the reason for the termination of the project, one of the Beijing Express, some roofs rusted grave does not meet the conditions, substandard roof load increased costs, involving a total of 35MW. In addition, the Beijing Express denied that the termination of the project legal dispute or breach, and said that termination of planned investment projects does not have a significant impact on the expected rate of return. Beijing Express had predicted that after the project is completed, Haining, Pinghu, Tongxiang internal rate of return after tax in the three places up to 9.5%, 8.4%, 9%, and due to the lower investment costs, currently yields have increased, and the three corresponding internal rate of return, and 10.02%, and 9.86%. Risk tip questioned inadequate, Beijing Express in his reply that roof has prompted many potential issues of coordination of resources, and in December 2014, July 2015 are listed two announcements. But to raise the funds to announce the termination of this period, Beijing Express never tip of the project may not be risk-complete, this makes the fundraising notice to change somewhat “sudden”. Beijing Express project has been showing a positive attitude, long before fundraising, Beijing Express have used self-financing invested 522 million Yuan for the project until January 2016, replacement of Beijing Express in order to raise funds to raise the necessary funds. Early in the fundraising, said Beijing Express, completion of the project will help improve the company’s strategy in the new energy industry, enhance ability to withstand industry cyclical fluctuation by the existing business risks, to achieve long-term sustainable development is of strategic importance. Beijing Express in the 27th letter of introduction, Zhejiang Province local government subsidies to distributed generation with “high to low” for obvious features, significantly shortening the payback period of the project and improve investment yields. Such receipts were expected to follow. Beijing Express project partners core energy PV science and Technology Corporation (hereinafter referred to as the core technology) in 2014 after upgrade for distributed PV as the core, achieve profitability in September 2015 and list on the new Board, and entered the IPO counseling period in October 2015. Capital securities research reported that “Thirteen-Five” during country continued to support the photovoltaic power generation, and will vigorously promote distributed photovoltaic power generation, driven by subsidy-driven steering technology, business models, has a unique business model, innovation capability of enterprises will come to the fore. Beijing Express is focused on photovoltaic industry in 2015, annual report, Beijing Express said, the company’s business mainly for photovoltaic PV power station power station acquisition, possession and operation. And that, in terms of expansion of solar PV power plant business, the company has formed a relatively complete selection, construction, operation and decision-making systems, and help the company more accurately and rapidly identify quality projects, improve project returns. 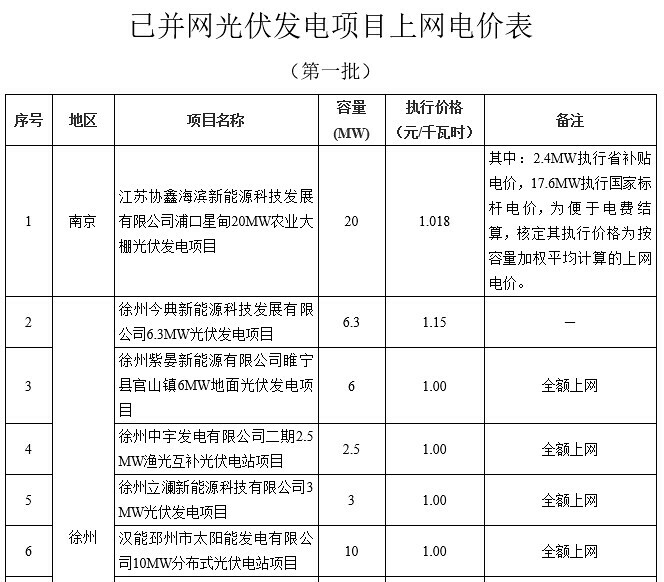 Beijing Express termination of the project spread over Henin three, Pinghu, Tongxiang, jiaxing city, are, according to the jiaxing city the official website describes, as early as in December 2014, Haining “national demonstration zone of distributed PV Application” first projects already grid-connected, first half of 2016, the PV industry in the city, an increase of 24.5%. In the context of distributed PV industry supported by the policy, Beijing Express subsidiaries enjoy tax benefits, which include offering three subsidiaries of the investment projects, in addition, the local Government also distributed PV electricity price subsidies. 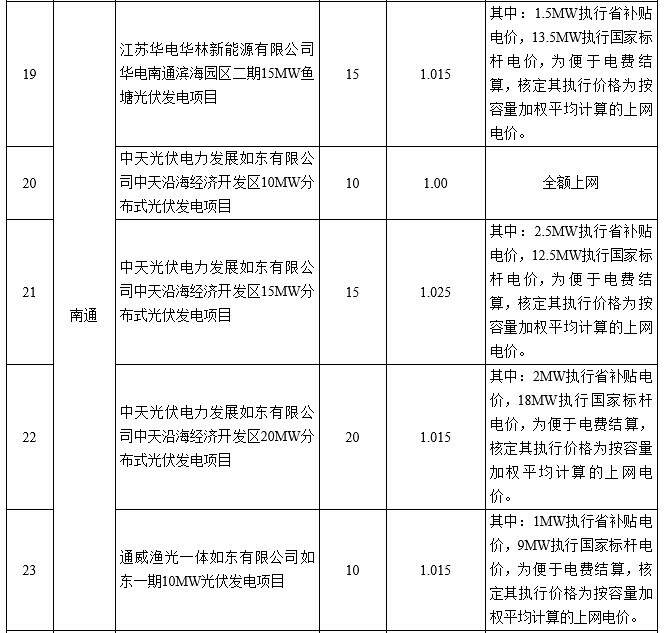 According to the Beijing Express 2015 annual report, its in Haining, Pinghu, Tongxiang subsidiaries operating profit was 29.8661 million Yuan, 215800 Yuan, 924,200 Yuan. 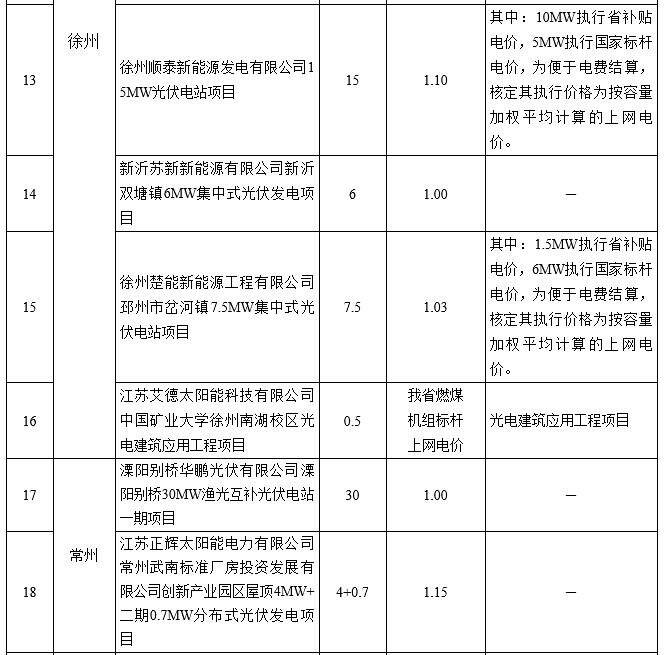 To promote orderly development of photovoltaic power station in our city and complete index task of the province, ordered the city, Changzhou projects optimally does the Commission propose to determine inclusion in the 2016-new construction-scale photovoltaic power plant project. Specific requirements as detailed in the annex. No construction project will take time restrictions as promised, invites companies to look into declarations after the maturity of the project. To declare the project of enterprise-ready materials in 6 copies, stamp Enterprise seal, sent to this Council before July 28, 2016 16:00 energy section 420 Office, electronic seal scan your artwork please send them to wjfgj@126.com. In the demo in the demo, players are playing a game of Sokoban, Vive controller when the player used when push boxes from the virtual shelves, Baxter robot automatically keeps track of the controller, and give the player a drag, allowing the player to feel really push a real box, rather than air. 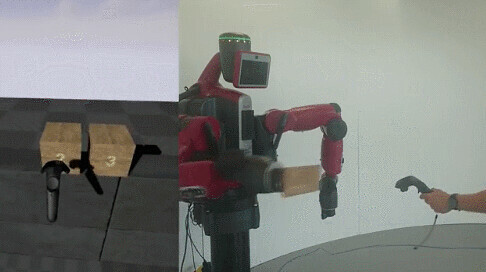 In addition, Baxter robots can provide different objects with different resistance to simulate realistic real experience. Of course, spend over $ 25000 to buy a robot to play “Sokoban”, it is estimated that only local talent such a thing, which to the average person and there is no reference value. However, Devin said in an interview with Digital Trends: our aim is to demonstrate the robot provides tactile feedback that possibility. Imagine if VR 4 corners of the room you are installing a mechanical arm, then you will have access to a full range of tactile feedback. Although the programme is not practical at this stage, but it does provide a perfect solution for haptic feedback, of course, is local to set up in the early. Polaris solar PV net news: known as the output of billions of government investment projects, its registered capital and initial investment funds came from a financial loan, such absurd things happen in Fujian province, two counties of financial transfer payment. From the relevant channels, County of Fujian Provincial poverty relief and development work focused on clean for introducing JI Sun photovoltaic projects, total violation lend 230 million yuan of funds to investors, since 2011 has so far failed to recover. In June, those responsible–Fujian Provincial Cultural Heritage Bureau, Deputy Director, the former Qing Liu Liang Yizhang, Secretary of County party Committee to outline the review. Qingliu investment loan model, cloned from another focus of poverty-alleviation of xiapu County, Fujian province. As early as September 2010, involved twice from xiapu County of Jiangxi Xinyu JI Yang investment limited financial loan of 150 million Yuan, for incorporated xiapu JI Yang new energy co., Ltd. At that time led the investment loan, while Chang Liang Yizhang. In clean County Secretary any Shang was local people called for “cool breeze” of Liang Yizhang, had any Fujian Ningde city mindong daily social Deputy Editor-in-Chief, and municipal government Deputy Secretary-General and municipal government are at level investment Center Director positions, September 2009 Hou turned any xiapu County Deputy Secretary, and generation County, and County, June 25, 2011 from mindong Exchange minxi transferred, sanming city, clean County Secretary, April 30, 2015 up was transferred Fujian province Heritage Council Deputy Secretary until Lok Ma. In 2010 and 2011, the global PV industry is facing after rampant growth capacity of cold fear. Fujian province xiapu in Fujian and contrarian expansion, qingliu, outreach to build large-scale solar PV industrial base, project reaches the postpartum and 15 billion yuan output value of 50 billion yuan. Both major satellite project, but even the registered capital of the company are offered to the local government. The author was informed by the people, on September 4, 2010, xiapu County, headed by Liang Yizhang County Government and Xinyu JI Yang investment on thin crystalline-silicon solar cells project signed the investment agreement and the supplementary agreement on the thin crystalline silicon solar cell. Investment agreement, Xinyu JI Yang JI Sanyo Energy limited, company registered in xiapu County formed in xiapu, the registered capital of 300 million Yuan, and plans to invest 48-per-1920MW ultra thin crystalline silicon solar cell production line, with total investment of 3 billion yuan (excluding land and buildings). Whole investment project staging implementation: project a period investment construction 12 article annual can for 480MW super thin crystal silicon solar line, which equipment investment about 720 million Yuan, project a period built up postpartum, years can achieved output about 5 billion yuan, tax 200 million Yuan above; project two period investment construction 12 article annual can for 480MW super thin crystal silicon solar line, which equipment investment about 720 million Yuan (not including land and plant); phase I, built Hou, can achieved output about 10 billion yuan, Tax revenues of 400 million Yuan or more; third phase investment project construction 24 able to 960MW thin crystalline silicon solar cell production line, including equipment investment of 1.56 billion yuan (excluding land and buildings). Completed 3 years of the project reaches the postpartum, the annual output value of about 20 billion yuan and taxes of about 800 million Yuan. According to the investment agreement, to support the construction of the projects described above, xiapu County Government should provide 75 million Yuan loan to the Xinyu JI Yang company, and the supplementary agreement to increase the loan amount to RMB 150 million. In addition, xiapu County Government should coordinate a bank branch of xiapu, Fujian province, JI Yang letter of loan commitments project, promised the loan amount for the first phase of RMB 300 million, project phase II of 400 million Yuan. The sources for the formation of registered capital of 300 million Yuan JI Yang new energy co, xiapu, Xinyu JI Yang on September 26, 2010, the first phase of the company registered capital of 75 million Yuan into capital verification account, xiapu, xiapu County on September 27, 2010, the Government will import Xinyu JI Yang, phase I borrow $ 75 million corporate accounts, xiapu JI Sanyo energy company registered and established on September 30. Xinyu JI Yang Corporation on December 22, 2010, the second phase of the registered capital of 75 million Yuan into capital accounts, xiapu County on December 24, 2010, the Government will borrow $ 75 million Yuan into the second period of Xinyu jiyang corporate accounts. In corporate-owned capacity investment of xiapu, Fujian qingliu and photovoltaic projects in Jiangxi Xinyu JI Yang investment limited financial strength is not strong. Industrial and commercial registration information, JI Yang of Xinyu investment Ltd on June 17, 2010, registered and established in yushui district of Xinyu city, Jiangxi province, Ha Tsuen industrial base, the registered capital of 400 million Yuan, the current paid-up capital of 80 million Yuan, including 20 million Yuan shares and investment execution, jimo, Shandong province, have been frozen. Investment agreement displays from xiapu County, JI Yang launch of new solar energy project investment has a precondition, xiapu County Government advances in 500 acres of industrial land leasing and high standard workshop construction funds. 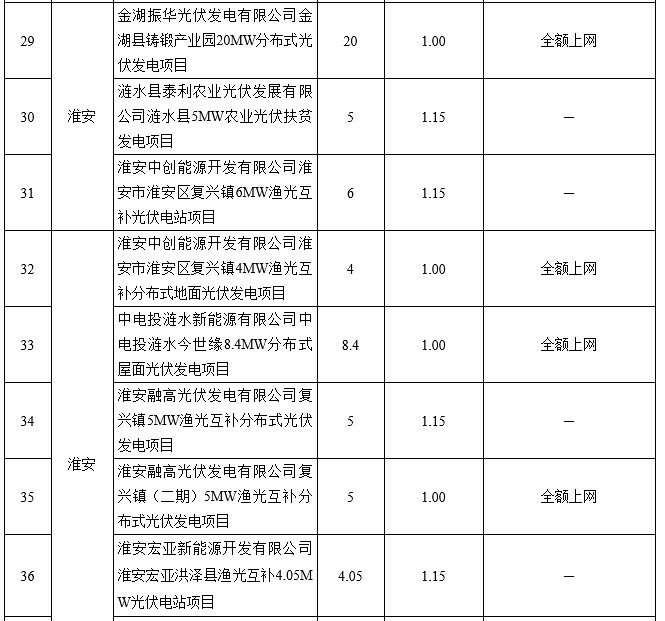 Public reports, the upfront investment of nearly 300 million Yuan by the local government. Advances made from the Government lent the registered capital, land and xiapu PV projects built plant, surrendered to the period after the completion of the project is in a shutdown state. Jiangxi Xinyu JI Yang failed to return two borrowed 150 million Yuan, is not in accordance with the agreement, “production within 3 years from the date of the project with a one-time payment of land transfer”. Hot key investment projects in the past, having a “wound”. Was established October 20, 2011 Qing Liu Ji Yang new energy is located in the clear stream, and Liang Yizhang Party Secretary of xiapu County in June of that year by transferring clean are not unrelated. And one writer familiar with media sources, JI Sun photovoltaic projects of actual control Sun Liangxin said Liang Yizhang transferred from xiapu solar was after local commanders bad-mouth time and again, their investments are not facilitated and respect they deserve, and are treated in a clean contrast. According to the media reports of the end of March 2012, clean ultra-thin solar cell production project is a provincial key projects, with a total investment of 5 billion yuan, covers an area of about 500 acres. After the project has settled in, qingliu project team, Department coordination, sharing tasks, the rapid advance of certification process, land levelling, laying of network management, water supply, transportation of building materials, plant construction, equipment purchase, staff recruitment and other items and topics, site analysis and other forms of problem solve the difficulties encountered in the process of building strength ensure that when ordered to advance the project. The told Ding Ji (djzgdj micro-signals), for its convenience and respect of qingliu photovoltaic projects, its core provisions settled conditions are as follows, whereby government borrowing, advance land bank credit loans, construction plant and coordination. But in the so-called reached 230 million yuan of investment and 4200 square meters with a building after building, the PV project is equally hard to escape the fate of unfinished lockout. After the Liang Yizhang flow clean, JI Sun photovoltaic project related issues in the discipline behind departmental vision. In early 2016, sanming city, a patrol of rectification “look” informed the show, qingliu sanming municipal party Committee in the original illegal loan case funds were outstanding, also continue to an illegal loan 20 financial funding totalling 66.16 million Yuan, “Stern tracing, full, serious accountability” deployment of rectification. Subsequently, the party patrol corrective action is not implemented, is not in place, established corrective action leading group appointed in sanming city, establishing disciplinary review, ad hoc surveys “two working groups to” push forward, for dealing with disciplinary problems related to staff discipline review, investigation of alleged financial crimes enterprise. On June 29, the supervision Bureau in sanming City Web site said, qingliu, former Liang Yizhang, Secretary, granted, I do not know, do not charge hand, discipline against suspected serious disciplinary violations by examination, alleged crime clues were transferred to judicial organs according to law. Liang Yizhang clean PV project at Lok Ma seems to be early signs. June 14,, sanming city, discipline monitored organ “supervision practice JI information management system” in the “a case double check library” page displayed such a information: qingliu Standing Committee financial Board Director, and County Finance original Secretary Langenwang on lending funds no strictly regulatory, no seriously audit mortgage assets, lack integrated security initiatives, on found problem no timely report, led to lending funds exists risk, problem, by commandments Mian talk asked accountability processing. Functions related to personnel in sanming city, Fujian province, disclosed to Ting Ji, former Director General of Bureau of Langenwang, qingliu did not carefully review of mortgage-backed assets, should be JI Yang qingliu is located in the industrial park of the company’s machinery and equipment and other personal property. This issue of the jiyang company produces a homemade solar equipment, collateral offers nearly 500 million Yuan to the local government, a total of 230 million Yuan have not released financial borrowing, qingliu. 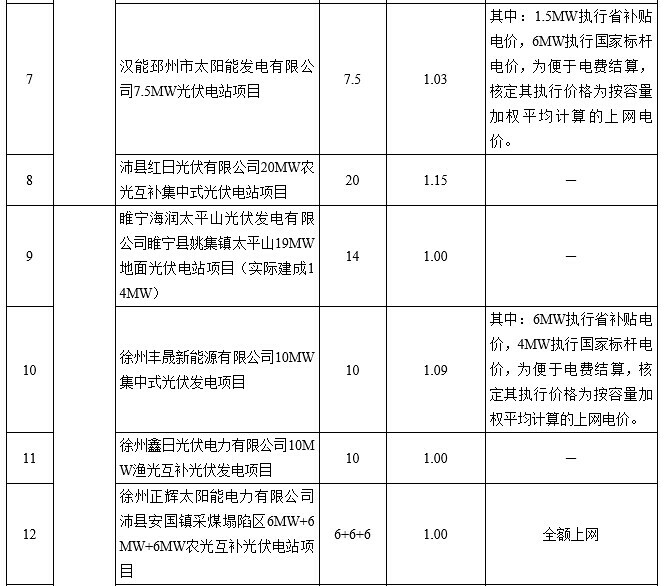 As early as Liang Yizhang is not double end of February 2016, sanming city, founded by public security, auditing, price, development zones, and other departments of the group, qingliu JI Yang new energy-related equipment and peripheral works price finds that JI Sun photovoltaic project in qingliu, concluded only more than 92.95 million yuan of investment. A registered capital of the actual book value of only 8 million Yuan, Jiangxi Xinyu JI Yang investment companies, enterprises set up after 3 months of registration was established with a registered capital of 300 million yuan in Fujian xiapu JI Yang new energy Ltd, and move known as the billions of investment projects. Depends on what? Illegal lending is based on the local government finance Fund and reimbursed land grant, is based on achievement of certain lust for officials are either overambitious, impulse. Such a “good thing”, a year later in another four cities in qingliu County, Fujian Province the same. Clean zhentianxiang PV project construction in 2011, it is a even the leading Suntech PV enterprises had to suspend, to deal with difficult circumstances of the moment, JI Sun photovoltaic, little-known but growing expansion of legend. On November 24, JI Yang holding PV industrial base agreements with the Hubei xiantao City Government. JI Yang of publicity of the project the first phase investment of 2.38 billion yuan, 30MW PV and 300MW PV module production line, production capacity up to 3.5 billion yuan. On October 21, fangchenggang city, Guangxi, with JI Yang holdings signed an agreement to invest 6 billion yuan in the city, mainly the production of 10GW photovoltaic components and supporting products, production capacity reached 50% of global market demand. September 20, Fujian qingliu and JI Yang holding held signed ceremony, claimed total investment 5 billion yuan of efficient crystal silicon solar project settled in; July, JI Yang holding said to in 5 years within in Korea Jeju road investment 300 million dollars; previously of May, JI Yang holding proposed, 5 years within will in Jiangsu sheyang established output 100 billion, and capacity 10GW PV solar formed base, reference fangchenggang project, its investment also will up to 6 billion yuan. Media reports said JI Yang company in as little as 2 years, have already invested in the photovoltaic industry and plans to invest 35 billion yuan. Meanwhile, JI Yang new energy across foreign investment even if fully operational, is likely to reach and even exceed global photovoltaic solar energy production. 35 billion yuan of investment, MA how to pull the cart? In the PV industry in serious oversupply and extreme cases, JI Sun Volt capital mysteries and expansionist intentions who suffered from media questions. When the industry analysis, JI Yang areas of investment by companies, mostly small and medium strong desire less developed counties and local government economic development area, are more likely to go is selling equipment, enclosure, mortgage, seek local funds of Government and banking support, first start mode of operation. Sure enough, I now disclose the investment agreement was enough to trigger an unlimited imagination: obscenity violations of government borrowing and achievement, whether it led to the staking, the explosion of capital scam? Paper tiger is going to be wet, and were mercilessly shot down in the mud on the ground. It is understood that, for alleged fraud and other economic crimes, JI Yang company has now been filed for investigation. Polaris solar PV net news: as China’s poverty alleviation campaign began, precise and efficient photovoltaic poverty alleviation in the country burn a prairie fire, PV accurate poverty reduction strategy important to poverty alleviation has become a central. But in actual practice in a variety of “local color”. In this regard, the senior expert of the photovoltaic industry, the national development and Reform Commission’s Energy Research Institute researcher Wang Si reminder, some local governments have yet to understand the national PV pro-poor policies, local policies, and should note and corrected in a timely manner. Has learned the PV in Taihu County, Anhui Province, poor tender, clear bidders are required to provide investment and construction programmes, investment programmes should be unconditionally in accordance with the requirements of government investment in Taihu County progress, investment, invest and build factories and other requirements, minimum investment amount is 50 million. Bidding to obtain the full score, investments of more than 150 million Yuan, and shall make a written commitment in the bid documents, or this item is not. If corporate willingness to invest and build factories, will eventually not be able to participate in PV for poverty alleviation. Was also noted in the bidding process of the investment plan for the construction of a factory is 15 points, while directly related to power plant proceeds and effect of technical solution only 10 minutes. Conditions of this unilateral increase investment in Taihu County, asked to be involved in equipment manufacturing industry enterprises investment behavior, in fact, is the photovoltaic project “yanguobamao”, be the type of national pro-poor policies, bait-”tender” to “investment”, and countries help poor poverty objective “meat soup”. Move not only makes willing to participation PV poverty, and active perform social responsibility of enterprise investment cost sharply increased, contusion General enterprise more widely participation PV poverty of enthusiasm, even has “those involved in” smacks of, forced part enterprise to bid will additional increased of cost transfer to PV poverty project quality Shang, for big area quality problem buried Xia hidden, more important of is cannot guarantee poverty returns, damage Government public letter force, damage national advance full built well-off social overall. Now to a critical period of poverty in our country, poverty alleviation is an important political task at present, is a priority, the first livelihood project, according to local conditions develop photovoltaic poverty alleviation, the fundamental objective is to help poor people to become rich. Taihu County, Anhui Province, the Government has done, let us ask, they are poor, or for a moment of achievement? The answer is obvious! Taihu ignored policy provides, using tender mark, take “PV poverty” name, blatant requirements enterprise to investment built factory as into “threshold”, actually is use public power forced assessed, and strong buy strong sold, using national give poverty masses poverty of “cost” reached other purpose, makes “poverty” into “paste poverty”, this aggravated poverty burden, and ignored poverty development livelihood engineering of behavior, must caused competent sector of height alert and attention. The end of April this year, XI Jinping in jinzhai County, Anhui Province, General Secretary PV studied poverty alleviation, a few days ago to visit a village in Ningxia’s agricultural photovoltaic poverty, praised “the poverty here (PV poverty alleviation) did a solid”. But to poor PV is solid, it’s not that easy. PV anti-poverty work is a large and complex project, only pay special attention to every project, promotion of the get rich project landed as soon as possible, in order to speed up the pace of poverty, poverty really hold true, poverty alleviation, support real “direction”, and constantly open up a new situation for China’s poverty relief and development. Polaris solar PV net news: last month announced the purchase of Sun City (SolarCity), Tesla sought the transformation of faith grows stronger. 19th quietly after the company name changed to Tesla.com and musk in the 20th issue of the company’s “great plan”. According to the blueprint for the development of Tesla’s future business will be involved in the integration of solar energy products, electric public transport, unmanned vehicles, and rental and shared market of derivatives, thus becoming a vertically integrated clean energy enterprises. In 2006, musk has published a “grand plan” proposes to build electric cars, and gradually realize the idea of parity. Shortly thereafter, Tesla unveiled its first electric sports car Roadster, also has introduced ModelS, ModelX, also plans to introduce a cheap Model3. In the past ten years, Mr MASKEY “prophecies” are achieved one by one. Musk said, Tesla will enter the field of public transport, and is currently open for electric truck and “high passenger density” bus development and improvement, the two products will be published next year. In addition, he hoped that through the development of autonomous driving technology into the field of urban transport, even further into the carpool service for sharing the economic sphere. Musk plans to form a Tesla driverless car-sharing fleet owners only need to press a button on the mobile application, you can idle car leasing. In the “orders”, the car can be done by automatic driving system, does not take up any time you can make a profit. Musk believes that even in semi-automatic driving driving only in the process of application technologies, security “is driving much safer than human” driverless cars will ultimately win regulatory approval. But for now, the musk on the idea of self-driving cars also have considerable difficulty in practice. On May 7 this year, one of the owners of ModelS in the Tesla is enabled automatically Autopilot has died in a car accident while driving system. United States Highway Transportation Safety Board are investigating the security of this feature. 19th, Tesla’s website domain name from teslamotors.com (Tesla Motors) to Tesla.com (Tesla). Observers believe this is a great event on its brand-building, marks the vehicle start-up companies will be freed from “motors” (car) limits, and develop more business. In fact all along, musk emphasized that Tesla is not just a car company, but an “energy innovations” solutions provider. Tesla now range far beyond the production and sale of electric cars. In March last year, Tesla announced the launch of “Tesla’s energy” project, which is a renewable energy storage solutions. Late last month, Tesla announced the acquisition of the nation’s largest solar panel manufacturer in Sun City (SolarCity). Using this “his left hand right hand” deal, Thomas g its two flagship clean energy companies will be integrated into a vertically integrated energy company with its idea of “one-stop” service is expected to become a reality. Mr MASKEY, upon a successful completion of the acquisition, the core business of the two companies are to maximize the use and development. He set a long-term vision for the combined company: using solar panels for energy production, using battery energy storage, batteries are used for different applications, such as driving cars, managing the power grid and power the building. Musk hopes to consolidate these into a “container”, reduce the costs of both companies, provides a wide range of synergies. Musk is more clean energy in the future Empire set ambitious development goals: as a combined set of cars, energy storage and power generation company, Tesla’s market value would reach $ 1 trillion. Last year, musk said Tesla would be a market capitalisation of $ 700 billion company, stand next to Apple. Currently, Tesla’s market value is only $ 30 billion. Polaris solar PV net news: first half of 2016, power plant renewable energy project development in Southeast Asia is no longer a strong momentum. So far, the region has no plan to introduce a new round of tariff (FiT) subsidies, and market mechanisms are gradually forming. Although in the short run, the project development in the region will slow, but with the increasing economics of new projects, market mechanisms play a role started, medium term, where the electricity market will still show positive trends. &dot; Thailand has carried out the first phase of the “community solar (Conmmunity Solar)” tender and whorls of a substance reverse auctions, and was planning the second phase of the bid. Meanwhile, Thailand’s solar policy also encourages “self-sufficient” popularity of rooftop solar systems. The past, Thailand had discussed the launch of a new round of small-scale wind energy reverse auction (<10MW), but the possibilities seem slim. &Dot;2016 in May, national renewable energy Council of the Philippines (National Renewable Energy Board) proposes the introduction of third round of price subsidies, and DOE (Department of Energy) is also published on the implementation of renewable portfolio standards (Renewable Portfolio Standard, referred to as RPS) of the draft. However, because of concerns about government subsidies further additional costs will be passed on to consumers, the Philippines third round of electricity price subsidies may not be implemented unless the price can be achieved at a very low level, it will not bring additional burden to consumers. &Dot;2016 in May, Malaysia conducted the country’s first power plant photovoltaic projects. March 2016, Viet Nam had amended the country’s 7th power development plan, for the first time set a clear target for solar energy development. Indonesia’s new energy resources are still focused on geothermal projects, is expected to scale up to 1625MW among the 2016-2018 bidding. &Dot;2016 first half of the year, power plant renewable power generation projects in Southeast Asia to raise only US $ 300 million, which herald the growth of renewable energy power generation projects will be slowed in the near term. However, the medium-term, Southeast Asia still has a certain potential for renewable energy projects. With the increasing economics of new projects, market mechanisms play a role started and here renewable energy capacity is expected to be starting in 2019 acceleration. We expect, in 2016-2020, Southeast Asia’s new renewable energy installed capacity will reach 15.4GW, which 66% for photovoltaic and wind power capacity. &Dot;2016 first half of the year, Southeast Asia will be about 1.2GW power plant entered service in renewable generation capacity, 1GW of them from Thailand and the Philippines’s PV project. &dot; Malaysia for a 300MW power plant photovoltaic capacity tender, while Thailand has been “community solar facility” reverse bidding of tenders and biomass energy, a total volume of 327MW. &Dot;2016-year in March, the Viet Nam first PV capacity development goals, respectively in 2020, the country’s PV capacity increased to 0.85GW by 2030 to 12GW. From a global perspective, as with the total production of solar installed capacity respectively, are also in the top three in Europe, Asia and North America, and the last three are the Eurasian adjacent area, Central America and the Caribbean and the Middle East. If we follow the General statistics of the continents, South America, Africa and Oceania is the smallest solar installed capacity area. In 2015, Europe, Asia, and North America’s renewable energy capacity than 95% of the total installed capacity in the world, only accounts for less than 5% in other regions. Light in the African region is rich in resources, economy of underdevelopment and backwardness of energy production, lack of production and use of solar energy, national capacity is low. As can be seen, entering 2009, the solar industry began to develop in parts of Africa, significant increase in installed capacity, such as South Africa, and Algeria, and Egypt, and Réunion. Among them, South Africa and rapid development in recent years. From 2015 solar installed capacity in parts of Africa, the top several difference is South Africa, and Algeria, and Réunion, and Egypt and Morocco. Despite the light in Africa is rich in resources, but the majority of the national energy supply is far from enough. Restricting the primary cause of economic development in Africa is that energy supply stability and security. “Renewable energy technology transfer cooperation projects in Central Africa” supported the first recipient in Ghana and Zambia 3MW and 2MW solar installed capacity in 2015, respectively, among the 25 or so in Africa. Power rate of the population in both countries is 70% and 25% respectively, lower power consumption rate of rural population in particular, needs to be sufficient by using local solar energy solve the power shortage problem. Solar installed capacity in the region is currently ranked second in the world, second only to Europe. Trend can be seen from the growth, after 2011 solar installed capacity of countries in the region to speed up growth. China, Japan and India respectively in recent years solar machine speed is the fastest of the three countries. Korea, and Thailand, and Taiwan Province, Pakistan, Malaysia and Bangladesh are also ranked top ten in Asia. From 2015 solar installed capacity in Asia, China and Japan than in other countries. Among them, China has become the world’s countries with the highest solar energy capacity. Americas-North America, South America and Central America and the Caribbean discussed. Mainly in North America is the United States, and Canada and Mexico. United States solar installed capacity has grown rapidly, Canada second, Mexico increased more slowly. Africa is similar to solar power in South America and Central America and the Caribbean began to develop rapidly in recent years, but the capacity remains generally low. Chile, and Honduras’s installed capacity is higher, at dozens of MW below the level in most countries. Europe developed more solar energy development and use of one of the earliest parts of the world, penetration is very high. With the promotion of clean energy, European countries continue to increase for solar energy development, including Germany and the United Kingdom, and France and other countries to maintain a high growth rate. In other countries, you can clearly see that the growth rate of the past decade turning points, such as Italy, and Spain, and Belgium, and Greece, most other countries are slowing capacity growth after 2013, it is worth attention. Adjacent areas in Europe and Asia, did not appear to slow the upward trend of solar capacity. From 2015 the European solar energy capacity, Germany ranks first, respectively, after Italy and the United Kingdom, and Spain, and France and other countries. Can also be found, which is largely concentrated in the economically developed in Western Europe. Solar energy’s largest countries in Oceania is Australia, other countries are in a period of rapid development. Installed capacity from 2015 Oceania, Australia accounted for 99% of the total continental. Installed capacity of solar power in the Middle East is in the initial period of development. Israel’s development speed and capacity are among the first in the region, other countries is relatively small.